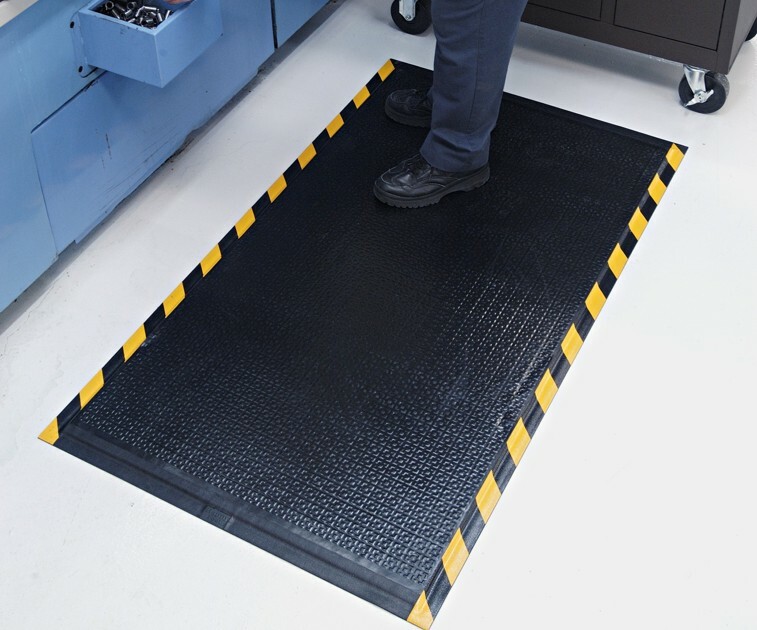 The Happy Feet Mat is constructed of a dense cushion material sealed in by a oil/grease proof and spark resistant nitrile rubber for use in the harshest industrial applications. 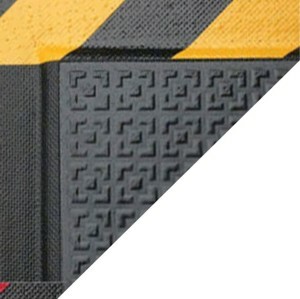 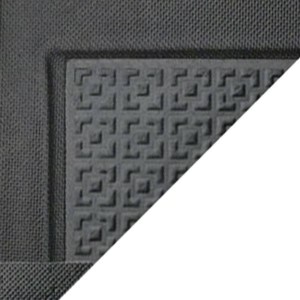 This mat is eco-friendly using 20% recycled content and is electrically conductive making it safe for use in computer or electrical rooms. 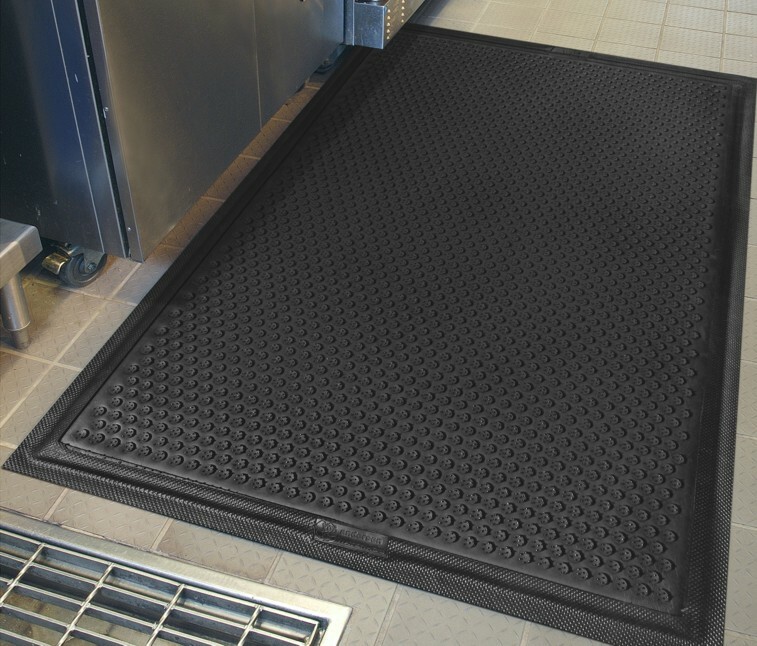 Cleated backing keeps mat in place and is certified slip resistant by the National Flor Safety Institute. 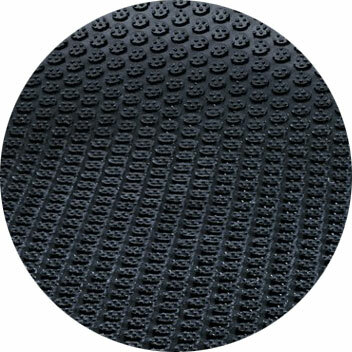 Choose from textured surface for dry/damp areas or grip surface for wet/oily areas where maximum traction is needed. 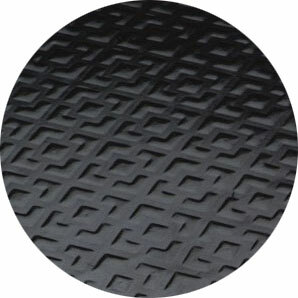 For use in any wet or dry industrial applications where cushion and safety is needed.